October brings a new song from mighty alternative rockers Ra. It's titled We Won't Back Down and is the new opening theme for NHL team Washington Capitals. Sahaj Ticotin, singer, songwriter and leader of the band said: "Soooo I can finally announce that this year the Washington Capitals will have their own theme song written by me and released as a Ra song. Its title is We Won't Back Down and is built to rock arenas and get the crowd pumped. Thanx to the NHL, The Washington Capitals and especially D.J. Stange who's idea it was from the get go and who facilitated all the logistics!" Watch the Caps Opening Video with We Won't Back Down as soundtrack clicking on the image above. Also, you can stream the new Ra single on Spotify. In related news, the deluxe version of Ra's last studio album, Critical Mass, got pushed back to January 13 to permit Sahaj to finish working on the debut album for Meytal Cohen, featuring Eric Emery from Concordia on vocals, Travis Montgomery of Threat Signal on guitar and a guest solo from Doc Coyle of God Forbid. Sahaj co-wrote, produced, engineered and mixed the album, and also played guitar, bass, did backup vocals for Eric and a feature on one song called Behind These Walls. Critical Mass was originally released in October 2013 and the deluxe edition will feature 3 unreleased songs from the album sessions and the more recent I'm Not An Angel. "I'm Not An Angel" is an excellent new song from alternative rockers Ra, that will be included in the upcoming Deluxe Edition of the Californian outfit's latest full-length studio album "Critical Mass," originally released in October 2013. "After finishing Critical Mass we had 3 more unreleased songs with everyone playing on them but I had noticed that everything on the album was pretty hyped and heavy and that we didn't really do a ballad or so. When the idea of doing the deluxe version of Crit Mass came up I thought it would be good if it had one so I wrote "I'm Not An Angel" which is kinda the follow up for "On My Side". This song, like "Taken" is about death but from the perspective of the person who died. Not really sure why it came out of me but it feels real. The rest of the songs will be released with the deluxe album but since it got pushed back I wanted to get this out now. I hope you like it. Please share if you do." Stream "I'm Not An Angel" now clicking on the image above. Alternative rockers Ra are going to do a new album this summer and to get some help for the making of the record, the band has launched a campaign on Kickstarter, one of the largest funding platform for creative projects. This is what Ra's frontman Sahaj Ticotin had to say about this move: "I've been in talks with several labels all of which have made offers to fund our newest effort. The problem hasn't been the offers but the atmosphere of fear that each meeting has shown me. Having been on Universal/Republic records for 5 yrs we are very aware that this fear has affected both small and large labels. Ra is an entity that exists somewhat outside of the record industry although we have sold 400,000 cds over our career. We feel the best way to succeed with a new record would be to make it ourselves, with the help of our fans and then to partner with a label for promotion and marketing. That said, we are trying to keep the album cost to a minimum and get it done as quickly as possible. If we can reach our goal it will cover the studio and travel cost associated with bringing out the guys to LA to work with me. I've tried to come up with exciting offers for those willing to pay $20 or more!" So, what are you waiting for? Ra is one of the best bands around: click on the logo and make your pledge now! And don't forget that Sahaj has just released an amazing solo album titled "Another Minute": find out more about it on Sahaj's facebook page. 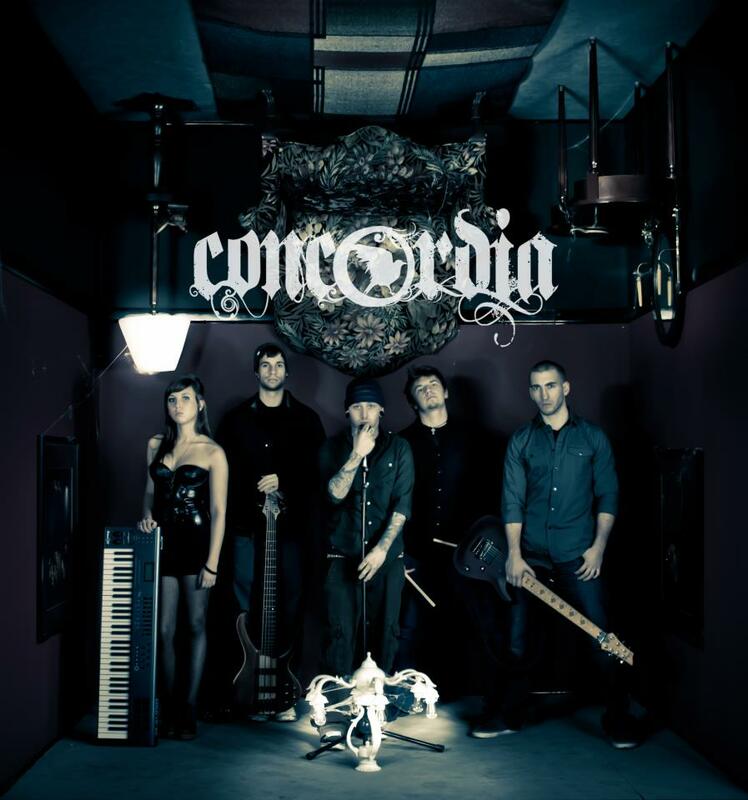 From the bio: "Concordia is an alternative rock band that hails from the rock n' roll capital of the world, Cleveland, Ohio. 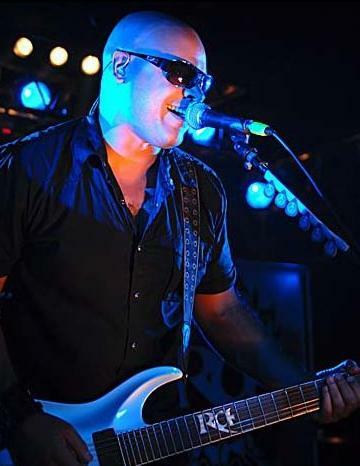 The band was founded by Eric Emery (lead vox, guitar) in late 2011. Concordia's debut album ("Clarity Of Perception") was produced, recorded and mixed by famed rock singer and producer Sahaj Ticotin of the band RA. It was recorded at Sahaj's studio in Tarzana, Ca and is set to be released early 2012. The session drumming for the album was done by Adrian Ost (Powerman 5000, Dope) and features songs co-written by Chris Taylor Brown (Trapt), and Dustin Bates (Downplay)". RA's frontman Sahaj Ticotin has just released via SoundCloud the first draft of the mix of a brand new RA's song, named "Running Blind". It's been recorded with band's mates Ben Carroll and P.J. Farley, with special guest Dave Chavarri from Ill Nino on drums. The new song will be uploaded on iTunes in a couple of days, as soon as Sahaj feels that the mixing is perfect. Meanwhile, listen to the released version here. Great track, by the way!